The weekend is winding down and Monday is nearly upon us, but my Sunday is ending on a happy note. 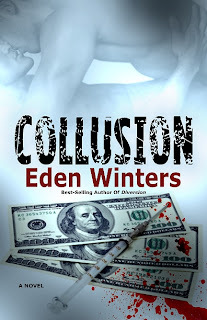 A short while ago I received word of a lovely new review for Collusion at The Armchair Reader. "This is definitely a sequel that lives up to the first book. If you haven’t read Diversion yet, go and get it right away. These are really good books!"